But what if we told you that food is the way to parents’ hearts at your next travel meeting? As you plan and organize your upcoming parent meeting, why not include traditional food to build excitement and curiosity about the travel destination? Food is such a powerful tool. It has the power to unite us. It gives us energy after a long day. It entices us to explore faraway lands and new cultures. The simple act of adding an authentic, cultural snack to your parent recruitment meeting is an easy way to make a lasting impression! To help you plan your meeting menu we’ve developed a list of simple snack ideas for some of our top destinations. Bon appétit! France is known for its gastronomy and so it is especially fitting that food be included in a recruitment meeting. If available at your local supermarket or bakery, stock up on colorful French macarons-these melt-in-your-mouth cookies are sure to please. 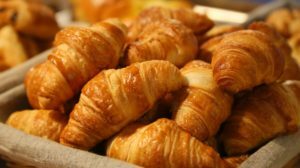 Other easy ideas include fresh croissants, sliced baguette with various cheeses, French chocolate or freshly brewed espresso. 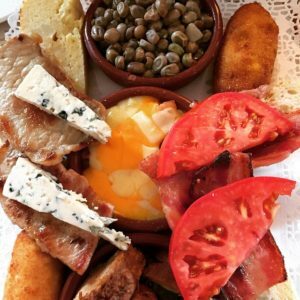 Entice parents to send their child to the land of tapas by sharing some of Spain’s culinary treasures. If available, serve perfectly sweet and crispy churros-Spain’s famous fried pastry. An equally sweet idea is Spanish hot chocolate-much thicker than its American counterpart. Bread with an assortment of chorizo sausage, ham, salami, olives and cheese is also a great, authentic tapas option. When most people think of Italy, they think FOOD, and for good reason! The hardest part of planning snacks for your Italian parent meeting is deciding what to include. 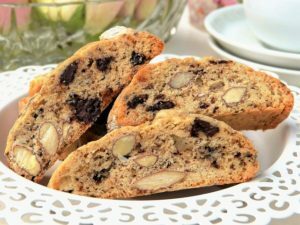 For a sweet start to the evening serve Italian biscotti along with steaming espresso. For a more savory palate, why not offer a plate of traditional antipasti including bruschetta, pickled vegetables, olives, fresh cheese and cured meats such as prosciutto. The tropical and fertile land of Costa Rica produces some of the world’s most prized culinary treats including chocolate and coffee-both crowd pleasers for any parent meeting. 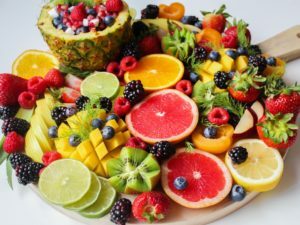 For another taste of Costa Rica be sure to serve plenty of this nation’s fresh, tropical fruit such as mangoes, pineapples, guavas, bananas, starfruit and passionfruit. A quick trip to your local Latin grocery store is also a great opportunity to stock up on authentic snacks such as plantain chips and imported fruit juices. 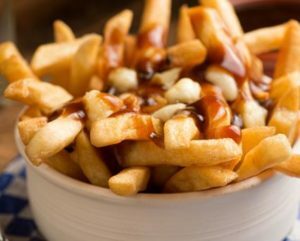 Nothing says Québec more than poutine, the traditional dish of French fries, gravy and cheese curds. Whip up a simple version of this Québécois classic using frozen fries, pre-made gravy and chunks of cheese. Too involved? Why not welcome parents with a maple candy-Québec is the world’s largest producer of maple syrup after all. Added benefit: parents will be extra excited and alert thanks to the sugar rush!